Christiaan Huygens was a mathematician, physicist and astronomer who formulated the wave theory of light. He also discovered the pendulum clock, centrifugal force and the true shape of the rings of Saturn (as well as its moon, Titan). Huygens is credited as the first theoretical physicist to use formulae in physics. Christiaan Huygens was born in 1629 to a poet father, Constantijn Huygens, who was an important diplomat for the Princes of Orange. His mother was Suzanne van Baerle. 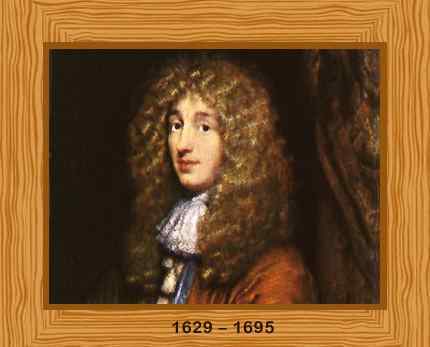 As a child, Christiaan Huygens was educated by private tutors and he then studied law in Leiden and Brenda. He soon realized that he was more interested in mathematics, physics and astronomy. As a child, Huygens loved to experiment with windmills and other machines and to watch the ripples produced by throwing a stone into water. Huygens was already in contact with leading scholars of the time, even at an early age. Mersenne, the famous French polymath, wrote to his father that his child had the potential to “even surpass Archimedes”. Christiaan Huygens made many extraordinary contributions in diverse fields. His efforts in mathematics included his work on the calculus of probabilities and showed the fallacy in methods claiming to have squared the circle. As a fan of Descartes, Huygens preferred to carry out new experiments himself for observing and formulating laws. In physics, he contributed towards the landmark Huygens-Fresnel principle which applies to wave propagation. He also extensively researched free fall. He proved by experiment the law of conservation of momentum. He derived the law of centrifugal force for uniform circular motion. In the early 1650’s Christiaan started to grind lenses for microscopes and astronomical telescopes. During his observations of Saturn, he discovered a new satellite orbiting Saturn which he named Titan. This was the first moon of the planet ever to be detected. He also noticed Saturn’s “ears” and deduced that he was viewing a ring around the planet. Work in astronomy required accurate timekeeping and so Huygens became interested in clocks. In 1656 he patented his first design for a pendulum clock. His book “Horologium Oscillatorium sive de motu pendulorum” in 1673 described the theory of pendulum motion. Huygens also improved sea clocks, which proved to be very helpful in determining the position of ships at sea. In 1662 he invented the “Huygens eyepiece”, a compound eyepiece for a telescope using multiple lenses. In 1663, he was elected a member of the newly formed Royal Society which was established to improve the knowledge of science. Huygens was honored with a doctorate in 1655. In 1666, he was made the first director of the Royal Academy of Science. Huygen developed a wave theory for light which was published in 1678 and he calculated the laws of reflection and refraction. Christiaan Huygens was seriously ill in the last five years of his life. He died on July 8, 1695. He was 66 years old. Huygens was buried in Grote Kerk.